Learn how to eliminate the 10 deadly hiring sins. The best people, whether they’re active or passive, are not looking for lateral transfers. Before they’ll even respond to an ad, email, or voice mail, they want to know something about the actual job and if it offers the potential for a career move. 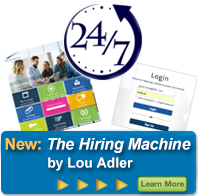 Performance-based Hiring is a complete business process for finding, assessing and recruiting passive candidates. During this webcast you’ll find out how to take the first step, converting traditional skills- and experience-based job descriptions into career moves. We invite recruiters and hiring managers to come as a team, and we welcome talent and HR leaders to discover the impact of Performance-based Hiring for themselves. Find out if your talent acquisition strategy meets the needs of passive candidates. Convert your job descriptions into career moves by clarifying expectation first. Implementing a referral-based sourcing program using LinkedIn Recruiter. Learn how to use our Quality of Hire ROI Calculator to determine the impact of hiring stronger people. Learn where you stand with our Recruiter Circle of Excellence Competency Model. Next public Sneak Peek coming soon. Contact us for a sneak peek presention for your organization.